The United States is still one of the few western democracies that applies the death penalty. In fact it is one of the states along with China, Iran, Saudi Arabia and Iraq that most frequently executes. 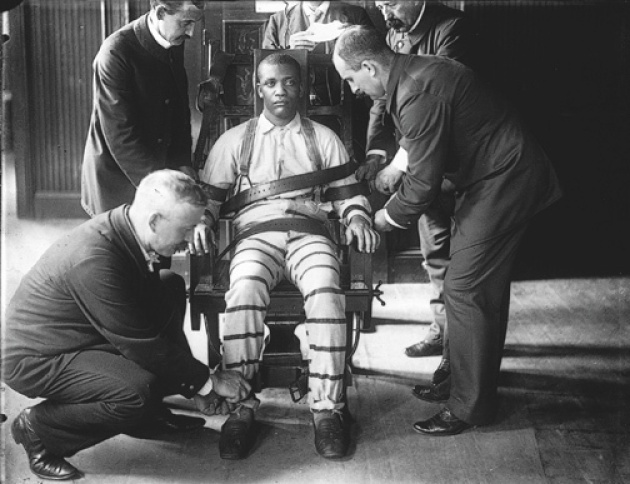 Thus, when the state of Connecticut abolished the death penalty, the United Nations human rights office welcomed the step and urged other countries/states to follow suit. Connecticut became the 17th US state to formally repeal capital punishment. California will consider a similar measure in November, and OHCHR urged the authorities there to follow the Connecticut example. “We would also like to take this opportunity to encourage other states, as well as the federal authorities, to move towards the abolition of capital punishment altogether,” OHCHR’s spokesperson, Rupert Colville, told reporters in Geneva. He noted that, even though the imposition of the death penalty fell by around half between 2001 and 2011, the US was still ranked by human rights non-governmental organizations among the top five countries carrying out executions last year. The vigor exuded for the death penalty by some US politicians on the right and enthusiasm exhibited by a block of electorate, (See our Film for Blog-“Cheering the Death Penalty in Texas”), taints the US as both political and human rights leader. The spike of the death penalty in Iraq is of a particular note as it’s reintroduction may have been encouraged by the US example at a critical point in the debate. See Blog for Video-“Iraq Executes 34 Persons in Single Day” Our friend Bianca Jagger is a tireless advocate against the death penalty. Bianca Jagger is Council of Europe Goodwill Ambassador Against the Death Penalty. With many other advocates from the international justice, human rights and “rule of law” community, Bianca Jagger and UN High Commissioner for Human Rights, Navi Pillay, have understood the US as trend setter for aspiring democracies and have repeatedly called for the universal abolition of the death penalty.